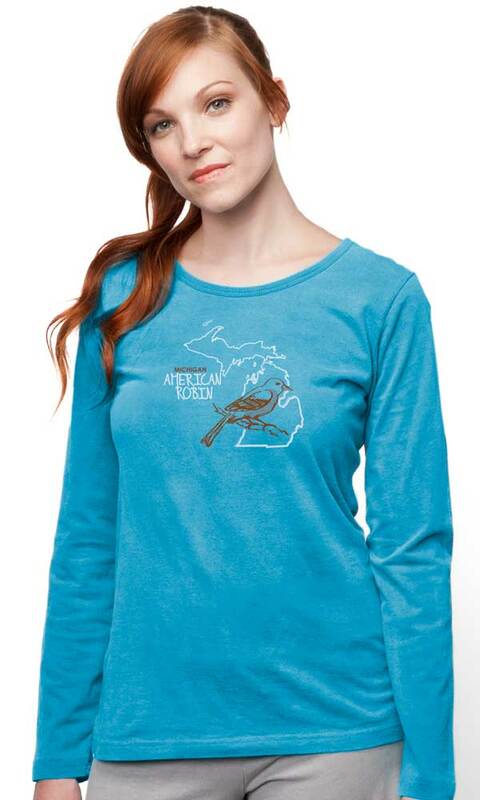 Show your Michigan state pride! 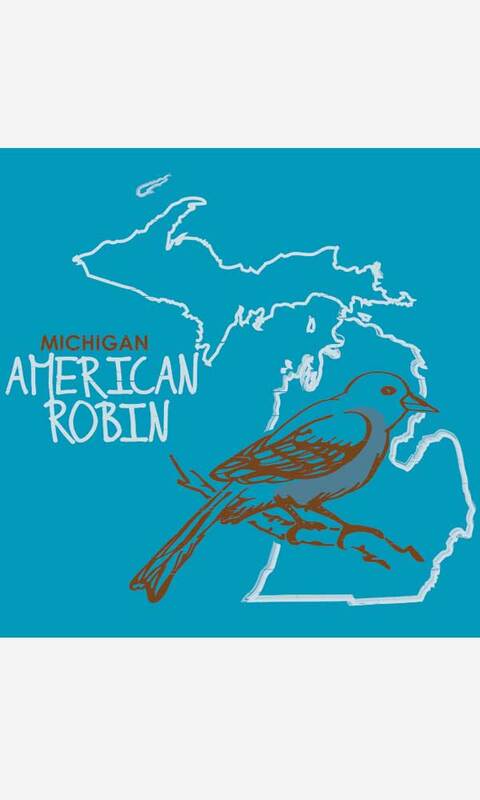 This shirt features an outline of the state along with the proud American Robin! Printed using eco-friendly non-PVC inks on our long sleeve fitted ladies scoop tee. Medium length from the shoulder seam down the back is approximately 25".